QPTC is applying for an alcohol license for the clubhouse. 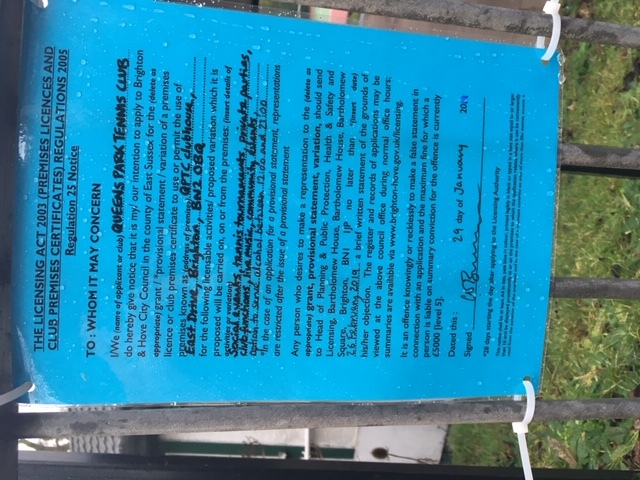 In accordance with the Licensed Premises Act, we have posted notification of this application in and around the tennis club. 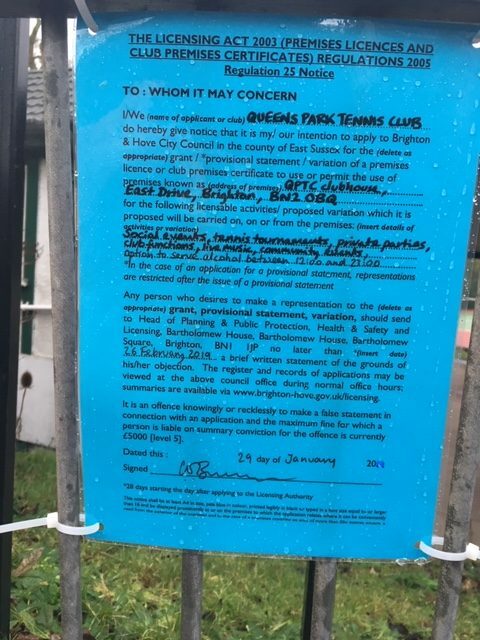 QPTC wants to reassure members and neighbours that the clubhouse will continue to be used as it has been. The alcohol license allows QPTC to host events serving alcohol and to hire the venue out for events that will sell alcohol as part of the event. 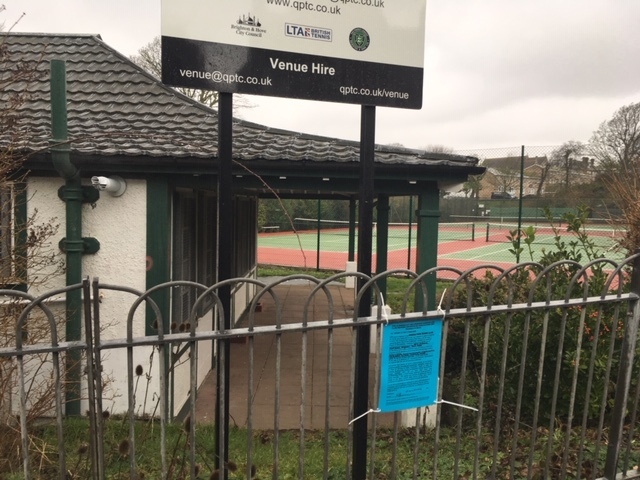 This might include a club social, or a private party, or a pop-up restaurant, or a wine tasting evening for members and their guests.The license we have applied for is the same as that held by other tennis and bowling clubs across the city. QPTC has not applied for a late night license. All uses of the Clubhouse are looked at carefully by the Committee to ensure they comply with our terms and conditions of hire (which you can view on the QPTC website) and we can adjust this at any time. QPTC is following all due processes as outlined by the Licensing Team of Brighton & Hove City Council, with whom we have discussed this application over several months.